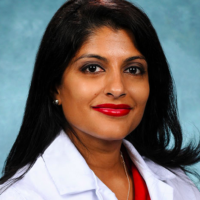 Dr. Aditi Joshi is an experienced Emergency Medicine Physician working on improving healthcare through technology. Through over 5 years of working in Telemedicine on both a startup and academic hospital, she has a keen interest in making technology palatable and effective for both patients, providers, and health care systems. As assistant professor, she teaches medical students and residents about telemedicine and health innovation with both practical and research components, helping to hone how the future physicians think about how technology will change medical practice. She regularly contributes articles on issues of merging provider and patient needs to digital health and innovation. She speaks and teaches both students and companies on strategizing how to bridge the gap between the two worlds.